I think it's safe to say we've all felt incredible concern for the people of Greece over the last few weeks and wish there could be a speedy resolution to this crisis. I'm also crystal clear on the fact that I have zero economy smarts (so thank God they're not asking me for suggestions) and also that buying Greek wine isn't exactly going to make much of a contribution in the long run. But, BUT - wouldn't it be lovely if we all went out of our way to buy a bottle or two of Greek wine over the next couple of weeks? Not because we have delusions of being heroes to the Greek economy, but to show our brilliant Greek wine-loving friends we're thinking of them. AND, for goodness sake, because every time I try a new Greek wine I'm ALWAYS glad I did. 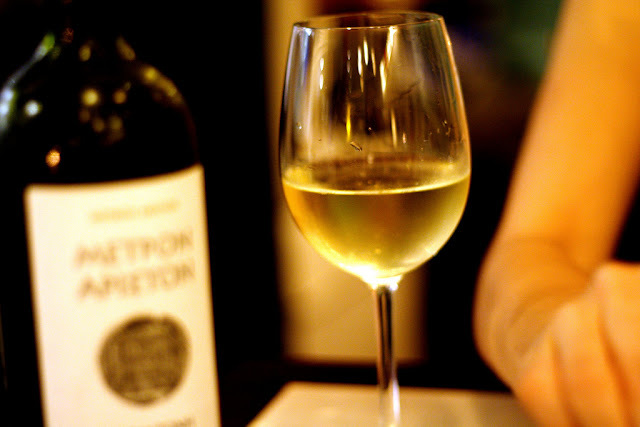 So if your experience with the vino of Greece is limited, now's the perfect time to start trying it. I promise you won't regret it. 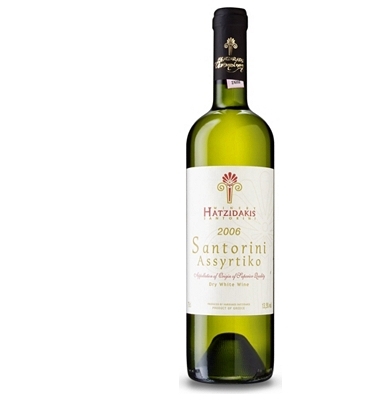 Assyrtiko is a grape variety, and one you should keep in mind when looking out for Greek wines. It's native to the island of Santorini, and is cultivated skilfully here by Haridimos Hatzidaki. Highly fragrant and exotic in style, this is fresh and floral with a hint of spice, and a good minerality from the volcanic soils on the island. Full of flavour and absolutely worth every penny. As a bonus, it's veggie and vegan too. Malagousia (or malagouzia too, apparently) is another Greek white grape you should look out for. This wine is made in the Valley of the Muses in central Greece and is made by one of Greece's biggest wine stars, the irrepressible Apostolos Thymiopoulous. Basically buy any wine with his name on the label (there's lots of them about). Delicate, peachy and floral, this is a really summery white, and one of which you can savour every mouthful. 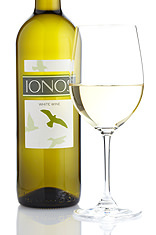 A light, crisp and pleasingly low-alcohol (11.5%) white from the Peloponnese. If you're a grape geek, this is made from indigenous Greek varieties roditis and lagourthi, as well as muscat, so you can imagine how fresh this is. Examples like this are so rare to find in the UK, and these kinds of prices are exactly why we always seem to be banging on about why you should join the Society. Another of Thymiopoulos' brilliant contributions to the wine world, this is made from the Greek xynomavro grape, which is really only grown with any success in the Naoussa region. It's a light and silky red, not too dissimilar to pinot noir, with lots of red berry fruit and a whole heap of elegance. It's also a wine you can serve cellar cool - just like the list of red wines you can serve chilled I recommended last week. Oh look! A grape variety you've definitely already heard of! Now even the unadventurous, stick-with-what-I-know types can enjoy Greek wine. Yes, this is a cabernet sauvignon from Greece, and is has all the firm structure and cassis fruit you'd expect from this most legendary of grape varieties. 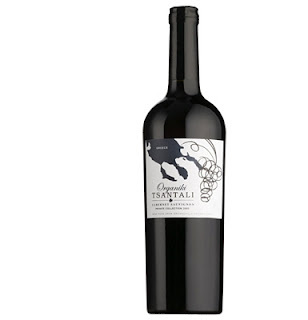 But it also has this delicious wildness you don't tend to get from better know cabernet regions, with a lovely earthiness and brilliant intensity of flavour. And you get change out of a tenner! How could you resist. Now, Semeli is a name you will see A LOT when you're buying Greek wines in the UK, and that's because it's a brilliant, versatile producer with a whole heap of experience. They recently merged with another big producer so they have quite a range of wines on their books. This is a great example of the agiorghitiko grape (apparently it translates as St George) and is packed full of cherry and cedar notes. It's relatively light at 12.5% and is a perfect match for Greek flavours. Check out The Wine Society if you want to try more - they do about half a dozen Semeli wines. Eee, this is one of my favourite wine discoveries! I've recommended it before in Christmases past, because it's the ultimate mince pie wine, but there's tons of uses for it all year around as well. 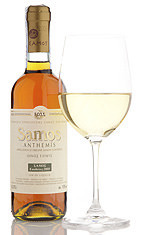 It's a sweet wine from the island of Samos, and is made by a co-op that has been winemaking since 1934. The grape is muscat (you've probably had sweet muscat wines before) and it's lusciously concentrated with honeyed, caramelised flavours. Drizzle some on ice cream, try it with treacley puddings, bread and butter pudding or caramelised pears, sip it with blue cheese, or save it for Christmas pudding... You see why I always have a bottle in my wine rack? 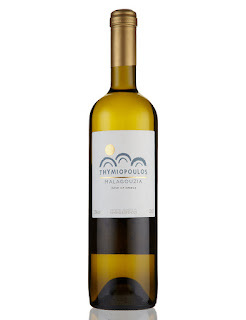 This really is the tip of the Greek wine iceberg - do check out the ranges at M&S, Oddbins, The Wine Society and Waitrose - so get out there and grab some. I bet your local independent wine merchant has some, too (another cause we should be throwing ourselves behind!) Yamas!